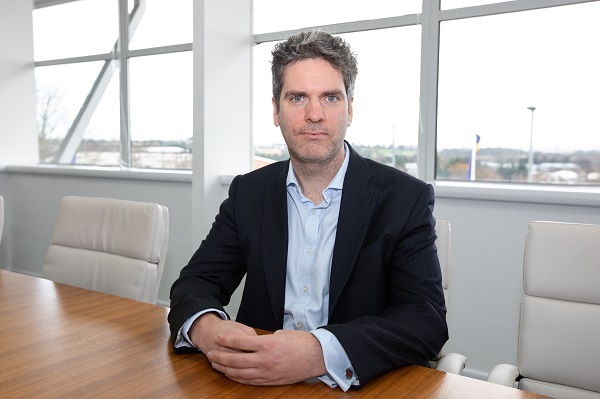 Speaking at Bovis Homes’ Annual Awards 2019 in Cirencester, Greg said: “Housebuilding is all about people, and we have some fantastic people working for Bovis Homes. It is important that we celebrate that at events such as this. “We have site managers who have picked up NHBC Pride in the Job Awards and some wonderful apprentices showing the enthusiasm and commitment needed to learn their trades. But we also have talent across the board, from land departments right through to customer care, who work day in, day out to build a better Bovis Homes. 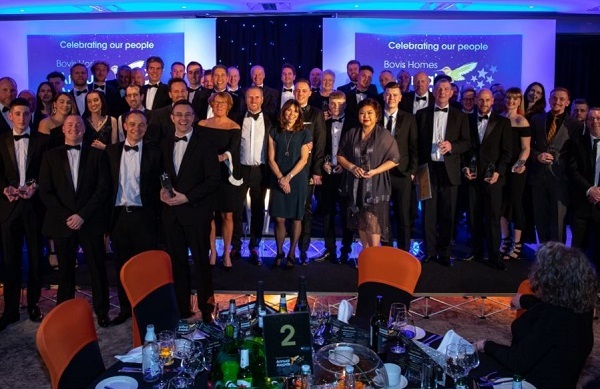 As well as celebrating innovation and achievement across the workforce, the awards also recognised the contribution of suppliers and contractors, with winners present who work with each of Bovis Homes’ seven regional operations. The event also celebrated the six site managers across the country who won Pride in the Job Awards last year, while apprentice of the year went to Calum Prentice, a young bricklayer working at Flore in Northamptonshire. The Most Outstanding Achievement Award for 2018 went to Exeter-based John Drewett, associate technical director at Bovis Homes’ South West region, who was praised for his innovation and commitment in spearheading a new management system that will help site managers view documents and plans out on site using iPads. John, who is based in Exeter, said: “Winning this award was a huge surprise. I was delighted to just be part of the event, never mind win such a great accolade. “My colleagues are the reason behind my win. We have been working on a great, innovative project that should help all staff, particularly those out on developments.